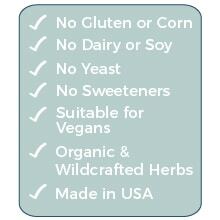 While I haven’t conceived yet this tea is a perfect blend of delicious herbs. I enjoy having it in the morning and evening and have found it a great way to relax. 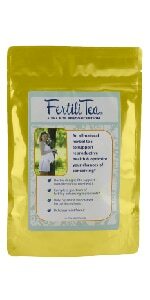 I started this tea after a miscarriage in Jan. By April I was pregnant again. 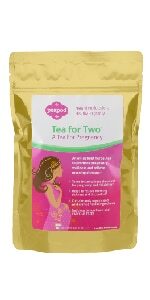 That pregnancy also ended in a miscarriage, but I’m back on the tea and looking forward to a full-term pregnancy. Also, this tea just tates good. 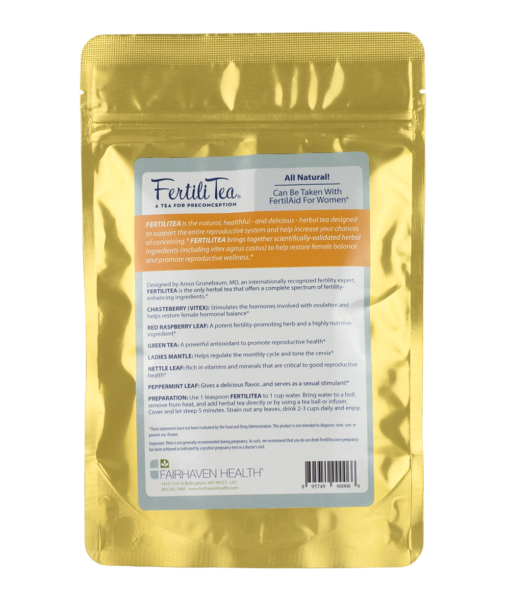 Thanks for your feedback on FertiliTea – wishing you all the best. 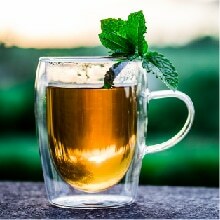 Tea tastes good, especially with honey. Helped my friends and i am a big believer it will help me as well. Thanks for your feedback, Sabina. 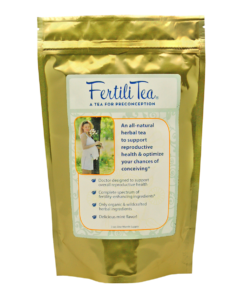 We agree – FertiliTea tastes good! 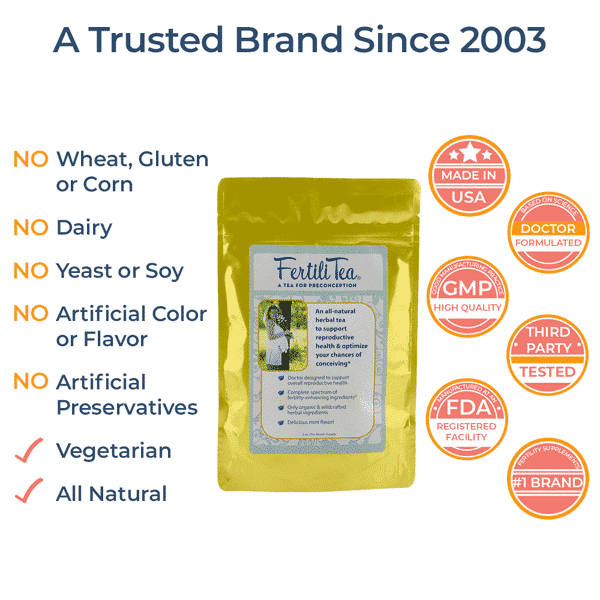 Not only do I feel amazing after one cup, it is also hard not to drink more! I put a teaspoon of organic honey in it and I don’t want to drink anything else! Hopefully we will have another BFP next month! Glad you’re feeling better with FertiliTea, and that it’s tasting good! Hoping you get your BFP soon. 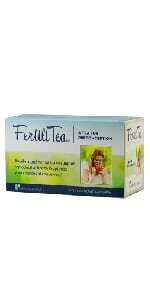 I have been drinking this tea for almost a month now 2 a day. It taste absolutely amazing. I’m trying to get my hormones all leveled out, so crossing my fingers that this will do the trick. Hopefully we can conceive soon!!! 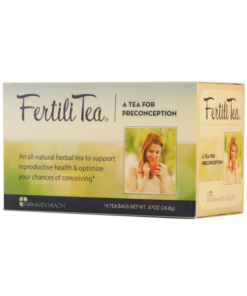 Thank you for your feedback on FertiliTea, Sarah – hope you get that result you’re looking for soon! Keep us posted. I am absolutely amazed! My hubby and I both can not believe how well this worked! 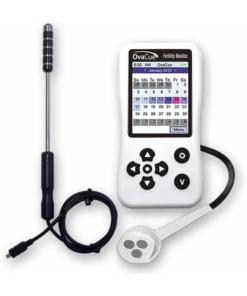 After trying for over a year to conceive, I mean i tracked my fertility days, took my temperature, tried crazy positions, just about everything to get pregnant! Back in August of 2016 I took the tea for 30 days as suggested and boom, finally a positive test, I even tested 4 days early and it was positive slight faint lines but positive! Waited a week and tested again sure as ever we were pregnant! I now have an amazing little 9 month old boy that means the world to us! 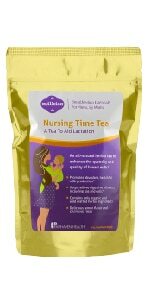 For our next time around i will definitely use the Tea again, I am so thankful for this product, truly a blessing in disguise! Ember – congratulations on your baby boy! 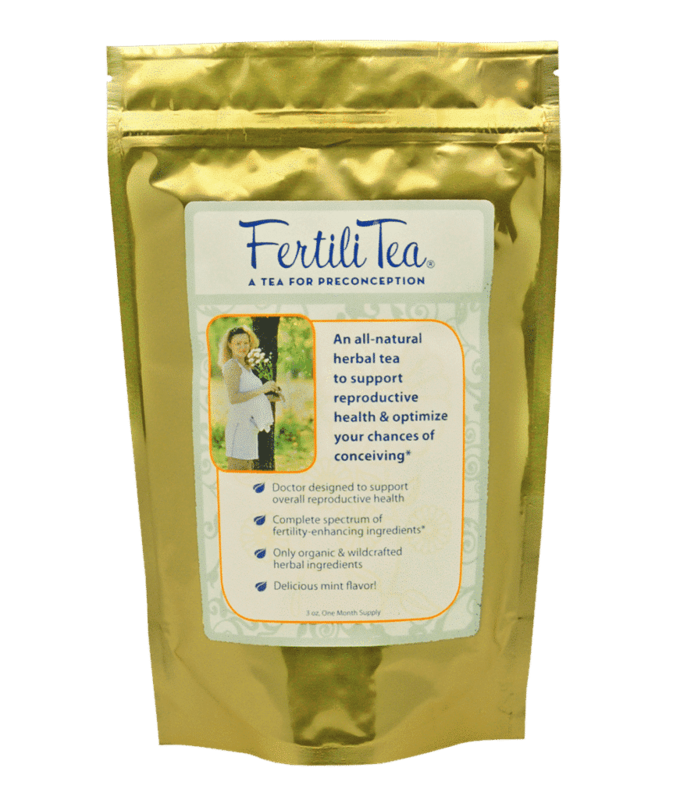 Glad to hear that FertiliTea helped you ovulate and conceive after trying for such a long time. All our best to you! 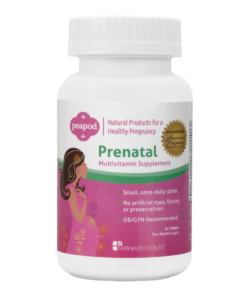 I have PCOS and very irregular periods that could be every 3-6 months apart. I have not had my own period since I stoped BC in January. my husband and I have just started TTC in the beginning of January. I just received my tea today and I had 2 glasses. I’m praying for a BFP this month! Excellent – please keep us posted as to your progress with FertiliTea. 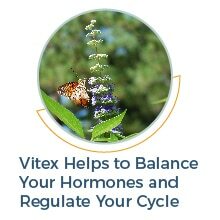 You might consider adding FertilAid for Women to your regimen as well if you don’t see your cycle returning to normal soon. 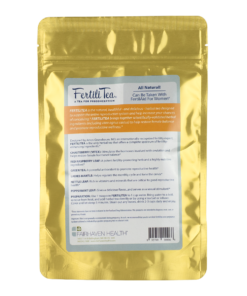 Glad to hear your cycle seems to have resumed after drinking Fertilitea. 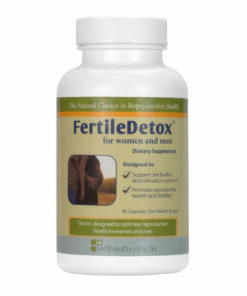 With regard to the fallopian tube blockage, we’ll have to defer to your ObGyn on the best strategy for addressing that. Wishing you all the best in your trying-to-conceive efforts! 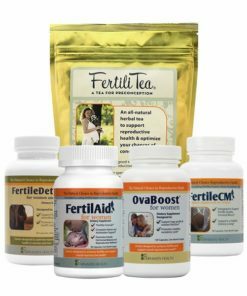 I’m sorry to hear of your experience with FertiliTea. 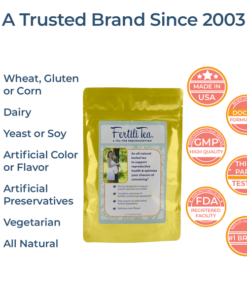 The ingredients in the product are all safe and well-known, and FertiliTea has been a brisk seller on the market for over a decade, so your report is unusual. 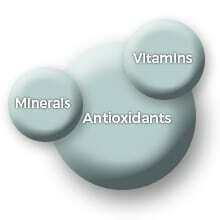 Its use is certainly not typically correlated to the symptoms you describe. 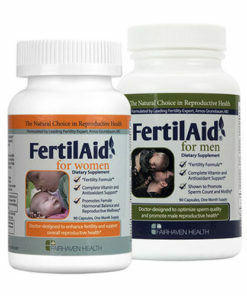 You might consider a capsule alternative, such as FertilAid for Women or OvaBoost. All our best to you in your trying to conceive efforts. This is my first month trying this I’m excited to see if this works for us. Thanks for your feedback. Look forward to hearing how FertiliTea works for you!